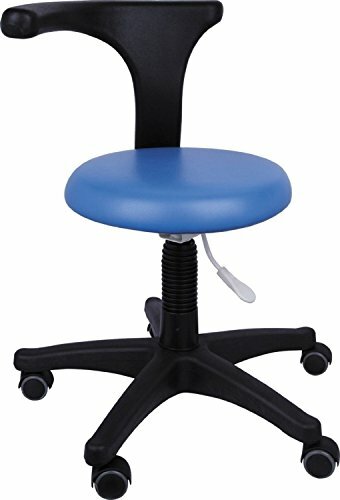 Moredental New Hot Sale Medical Office Stools Assistant's Stools Adjustable Mobile Chair PU (Medium Blue) by Moredental at Momiji Studios. MPN: 5. Hurry! Limited time offer. Offer valid only while supplies last. Features: 1. Cast-aluminum base 2. High quality castor for smooth movement 3. Adjustable height from 450mm to 570mm 4. Two-way adjustable armrest 5. If you have any questions about this product by Moredental, contact us by completing and submitting the form below. If you are looking for a specif part number, please include it with your message.